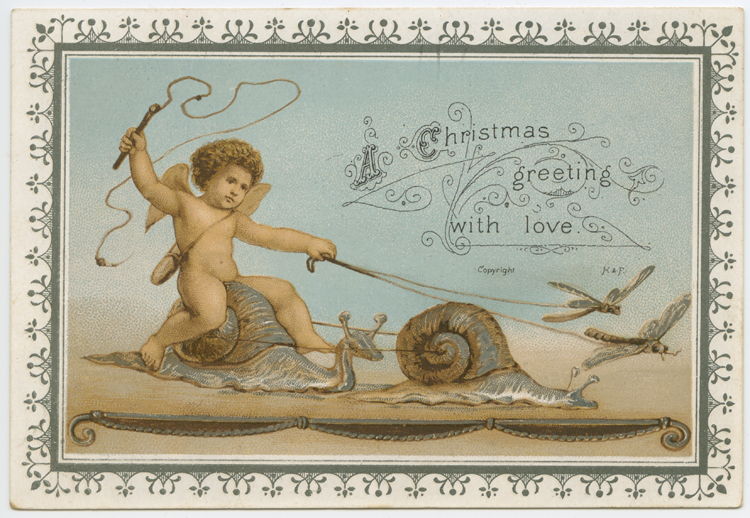 It’s heartwarming to know that on a planet somewhere far away, Christmas means Cupid with a whip riding snails pulled by dragonflies. This month’s exhibit features a collection of holiday ornaments created by the Kingston Lions Club between 1991 and 2001. Each limited edition glass ball bears the likeness of a Kingston icon — from the old Town Hall and Soldier’s Monument to Bildad Washburn’s Tavern on Main Street and the fish ladder on the Jones River near the Elm Street Bridge. Alongside each ornament is a historic photograph of the building or scene depicted. Stop by and take a look. Applications for Kingston’s 2011 Ichabod Washburn Benevolent Fund are now online. Completed forms are due at the Town Clerk’s Office by January 31, 2011. Funds will be distributed in March 2011. 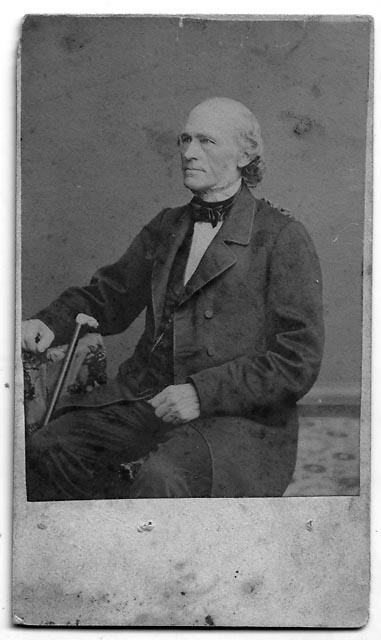 To learn more about Ichabod Washburn, check out this earlier post. 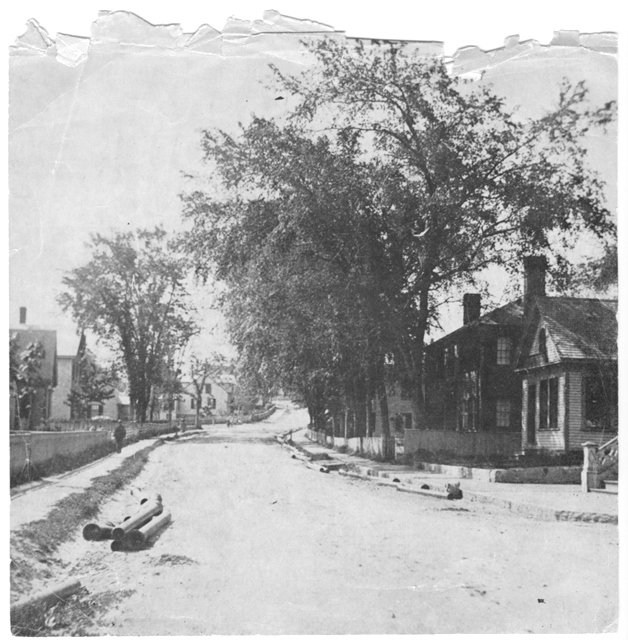 WARNING: For the historical thought experiment that follows, imagine there’s no traffic on Route 3A/Summer Street. Yes, it’s not easy, and if you can’t persuade yourself, please DON’T stand in the middle of the street! You have been warned! 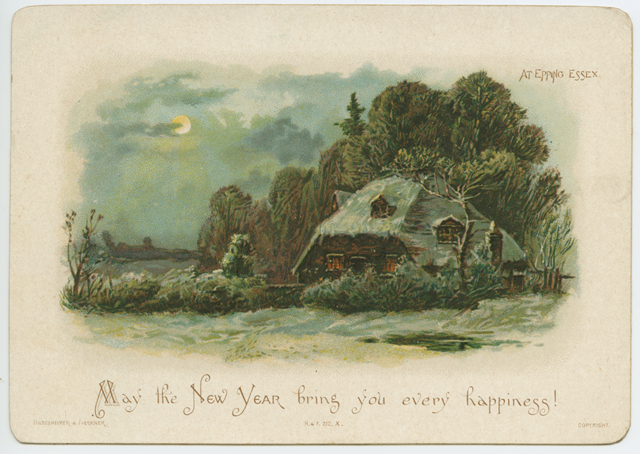 Stand in the middle of Summer Street just south of Evergreen and face north to recreate this view. Competing merchants Myrick’s (the whole building since picked up and moved around the corner onto Evergreen) and Burges & Keith are to the left, the railroad crossing a directly ahead, and the Post Office block to the right. The hydrants on the sidewalk give one clue to the date: no earlier than 1887, when the water pipes were laid. Watch out there’s a buggy coming! Step aside for the buggy, turn around 180 degrees and look up the hill toward Green Street for this view. The stairs up to Myrick’s can just be seen at right, although the post and rail are different than in the preceding image. The water pipes ready to be installed on both sides of the street provide the date. 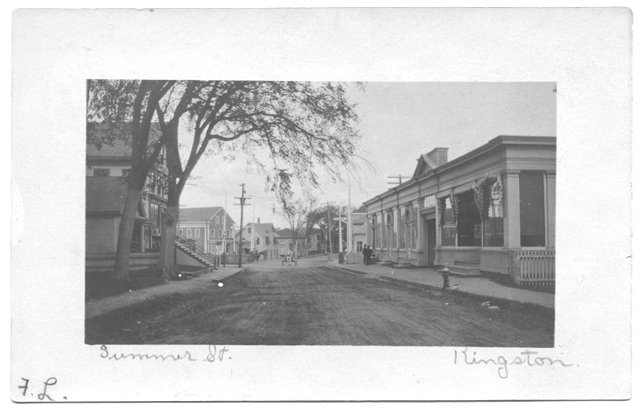 Ignore the caption — you’re still on Summer Street — and walk up the hill past Green. Turn around again. A little closer to the sidewalk, that’s right. 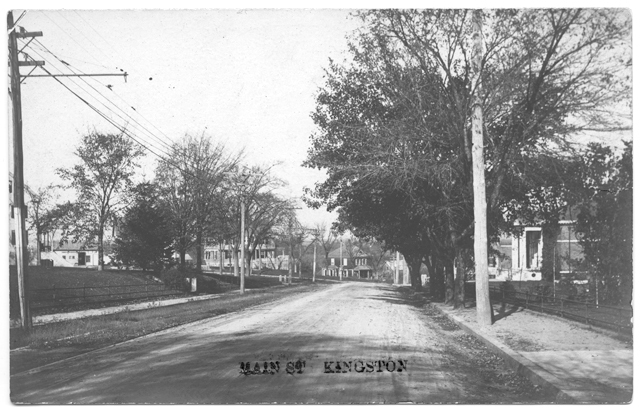 A corner of the Kingston Inn (now the site of the Library) can be seen at left and the columns of the Frederic C. Adams Library at right.